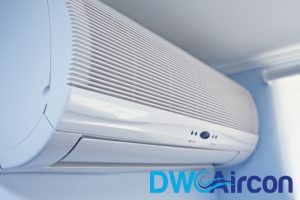 There are several types of air conditioners used to keep one’s business or home cool especially in Singapore. 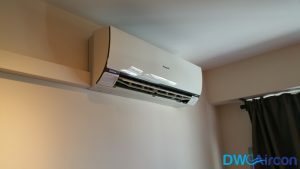 However, aircon working principles are usually similar to that of a refrigerator, the only difference is that a refrigerator will cool a small space that is insulated. 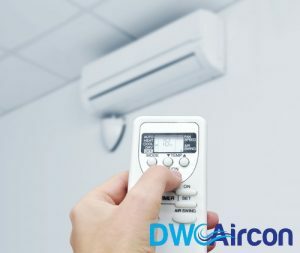 The whole procedure of ensuring that your property has the desired temperature levels lies on a simple scientific principle while the rest is achieved through mechanical means such as routine aircon servicing. An air conditioning unit has chemicals that convert gas to liquid and liquid to gas quickly. These chemicals are used to transfer the heat that is in the inside air of a property to the aircon compressor. The evaporator is located inside the house while the condenser and the compressor are located on the outside of the air conditioning system. The fluid used for cooling will reach the compressor as a gas under low pressure. The aircon compressor then squeezes this fluid/gas and the molecules found in this liquid are packed closely together. The more the aircon compressor forces these molecules closer, the higher the energy and the rise in temperatures. The working fluid leaves the aircon compressor like a hot gas that is on high pressure to the condenser. The outside air conditioning unit has metals fins, which surrounds the whole house, work the same way as a vehicle’s radiator that helps quickly dissipate the heat. The fluid will leave the condenser much cooler and has already changed from gas to liquid due to the high pressure. The fluid then goes to the evaporator via a narrow hole and when it reaches this passage on the other side there will be a decrease in pressure fluid starts to evaporate into gaseous form. As this happens, the surrounding air is extracted and is used to separate the liquid molecules to gas. The metal fins found on the evaporator help to exchange the thermal energy and the air that is surrounding. When this refrigerant is leaving the evaporator once again it is in low-pressure chilled gas and the whole procedure starts again when it goes to the aircon compressor. The fan that is connected to the evaporator circulates the air in the property and the fins of the evaporator. There is air that is sucked into the ducts through the vent, which is then used in the evaporator to cool gas. As the heat is removed, the air will start to cool and the ducts will then blow the air in the house. This goes on and on until the air inside your business or home reaches the desired temperature levels. When thermostat senses that the temperatures inside are of the desired levels, it shuts off the aircon. Meanwhile, when the temperatures go up again, the aircon will be turned on by the thermostat until the preferred temperatures are reached and the procedure keeps on repeating itself. Due to the increasing electricity costs, people are turning to alternative methods that can be used for cooling in order to spare their pockets and the environment. One of the ways that are being used is an ice cooling system. There are large tanks that are used to freeze the water inside to ice and the following day a system like a conventional air conditioner is used to pump the cool air from the ice to the inside of the building. This system saves money, reduces pollution, and can be used together with other traditional systems. This system requires a lot of space and is favorable to those with large buildings and space. This is another means that house owners can conserve energy by the installation of geothermal cooling and heating systems. The working principle behind them is the use of constant temperature found underground as the major source of heat other than using electricity to generate heat. The most common form of a geothermal unit used for homes is a closed-loop system. This system has pipes made of polythene that are buried underground either horizontally in 3 to 6-foot trenches or vertically like a well. They are also sometimes buried under the ponds and anti-freeze/water or water mixture are pumped through pipes and on winter the fluid is used to collect heat from the earth and through the laid down systems to the building. The reverse takes place during summer where the system reverses to cool the building in which the heat from the building is pulled through the systems to the ground. 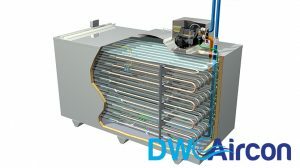 DW Aircon Singapore offers quality aircon services with their honest pricing. Our team of professionals offers services to those who want to upgrade their air conditioners or help those who have any questions. The services offered to our customers are exceptional, professional, and of high quality.